Marrakesh is a charming city surrounded by a harsh desert landscape and lush snow-capped mountains. The age-old region has long since been inhabited by Berber farmers, and the city itself has a history that stretches back a thousand years. Marrakesh is home to maze-like souk markets, towering mosques and breathtaking palaces that will leave travelers enchanted. There are plenty of sights to see and things to do in the ancient city even if you’re only staying for 48 hours. Connecting flights often arrive in the afternoon. That gives the weary traveler ample time to explore their hotel, relax by the pool, and take those travel photos for Instagram. Don’t be tempted to stay in, though. Marrakesh has a bustling nightlife that you want to experience at least once in your life. Just before sundown, make your way to La Mamounia, a hotel that Sir Winston Churchill favored and frequented in his lifetime. It’s a posh Art Deco hotel that’s world-renowned. If room rates don’t happen to fit the budget, there’s no need to force it. You don’t have to stay the night to enjoy its amenities. You can have a drink at their dimly lit bar or right outside their garden. If you make it just before sunset, you should be able to hear the muezzin or the call to prayer from the Koutoubia mosque. The best way to experience any city, they say, is to travel like a local. In Marrakesh, one of the go-to restaurants is one called Nomad, which is nestled in one of the rooftops within the Media. You can enjoy the cool night’s breeze in a cozy nook while enjoying classic Moroccan dishes with a modern twist. If it’s too chilly outside, the staff will lend you a burnoose, a long cloak traditionally worn by Arabs. Get up before the sun rises and you can surely manage to ride a hot air balloon. Just thirty minutes away from the city of Marrakesh, you can tick one item off from your bucket list. You can view the vast expanse of the Moroccan countryside and indulge in a panoramic view of the Atlas Mountains and the barber villages while having your breakfast on a hot air balloon. Ciel d-Afrique is one of the well-known balloon ride tours in Marrakesh. The ride costs about 2050 dirham or $558. Head on to Jardin Majorelle to experience French painter Jacques Majorelle’s greatest creation. He dedicated 40 years of his life to this stunning garden. There, you can enjoy its many tiny streams, pools, fountains and over 300 plant species that range from fruit trees to flowers. Fashion designer Yves Saint Laurent and his then-partner Pierre Berge, later on, took over the reins for Marjorelle. Jardin Majorelle is open daily from 8 in the morning to 5:30 in the afternoon. The admission fee costs 70 dirham which is roughly $19 USD. You will have to pay another 30 dirham for the museum or $8. While you’re in Yves Saint-Laurent, you might as well just grab lunch at Kaowa. It is a trendy vegan café where you can get wraps, salads, and several other healthy concoctions. The place also serves pastries. Morocco’s Jewel of the South is best known for its old walled city, the medina, which dates back to the Berber Empire. Exploring the serpentine alleys of this diverse marketplace can be quite a thrilling adventure. However, it won’t always be a pleasant one. There will be times when you’ll end up in a stall tucked away in a corner inside the medina that probably sells lamps, hand-made carpets, and other artisanal crafts that you never thought you needed. Sometimes, you might find yourself in places where you aren’t too welcome. You can get lost in this labyrinth for hours, and the best thing to do when that happens is to stay calm and to enjoy it as much as you can. If you find something you like, be coy and try to see if you can bag a bargain. Marrakesh has a ton of museums you can go to. Some showcase traditional Moroccan design, architecture, and culture while others focus on contemporary art. Maison de la Photographie, which translates to House of Photography, features a permanent collection of stills, some dating back to 150 years ago. After you’ve strolled around to your heart’s content, you can stop for refreshments at their rooftop café. Maison de la Photographie is located in 46 Rue Souk Ahal Fassi, Media. It is open every day from 10 a.m. to 6 p.m. The admission fee is 40 dirham. Treat yourself to Dar El Salam, the oldest lounge in the city. This is where you should go to experience authentic Moroccan cuisines such as tajines and couscous. Apart from their lavish décor, this culinary experience should make you feel a lot like royalty. While you’re enjoying your meal, you can even delight in cultural performances. 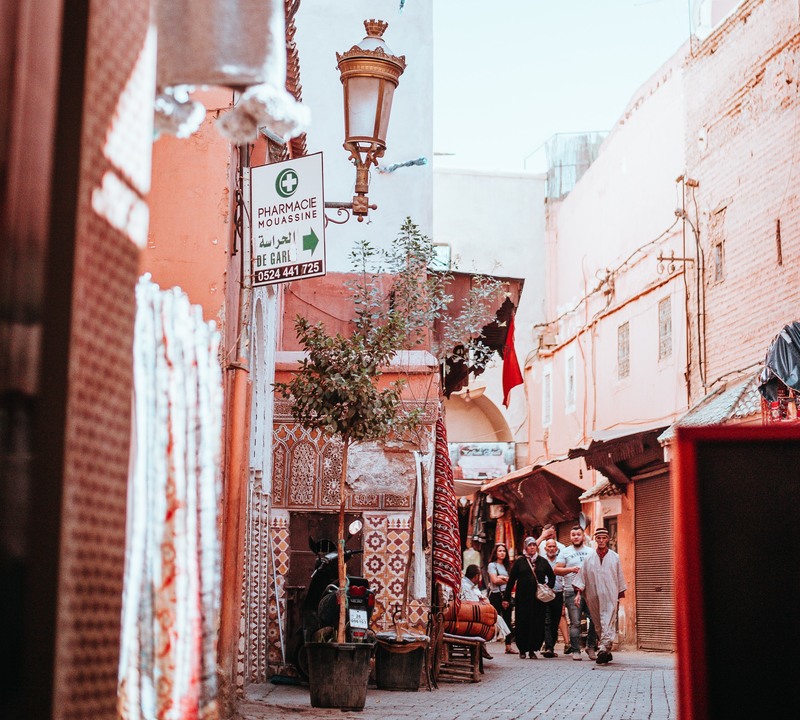 You can spend your final hours in Marrakesh in your riad or in a café somewhere in the city, where you can just watch the local life unfold before your eyes. Take it all in for one last time before you pack your bags and head back home. Remember all of Marrakesh before the adventure turns into a memory, a beautiful story worth telling. 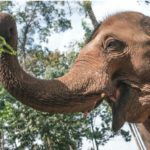 About The Author: Cal Bailey runs MountainLeon.com – a travel blog he started after two years on backpacking around the world. If you want to learn more about life on the road or read his blogs, make sure you check out his latest gun mount comparison guide.